This unit is designed to be used with your outdoor hosepipe and Hozelock type fittings, either side of the unit, make it easy to connect to your garden tap. Finerfilters 3 Stage HMA Unit is suitable for heavy metal reduction of tap water. This unit comes complete with all filters and accessories, and is ready to use straight out of the box. Stage 1 - 5 micron sediment filter: Removes sediments, including sand, rust, silt and other sediments up to 5 microns. 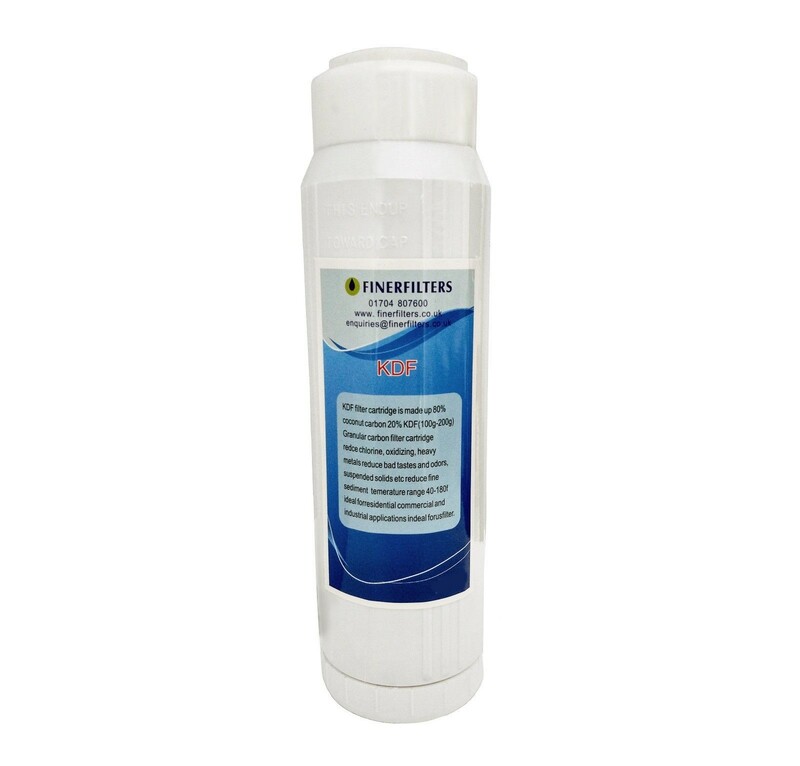 Stage 2 - KDF/GAC Cartridge: Reduces high levels of chlorine, pesticides, herbicides, and also reduces levels of heavy metals in the water with KDF filter media. The KDF filter media also balances the pH of the water. Stage 3 - Carbon Block filter: Reduces high levels of chlorine and volatile organic contaminants from the water. I bought this filter for use on my pond, I have only used it two or three times and I am very happy with it. Bought this item to treat water going to my aquarium, I have found it great value for money, and serves its purpose more than adequately. If I had to find one minor negative- that would be the lack of any instructions for someone new to this type of product. On the whole 100% happy customer.